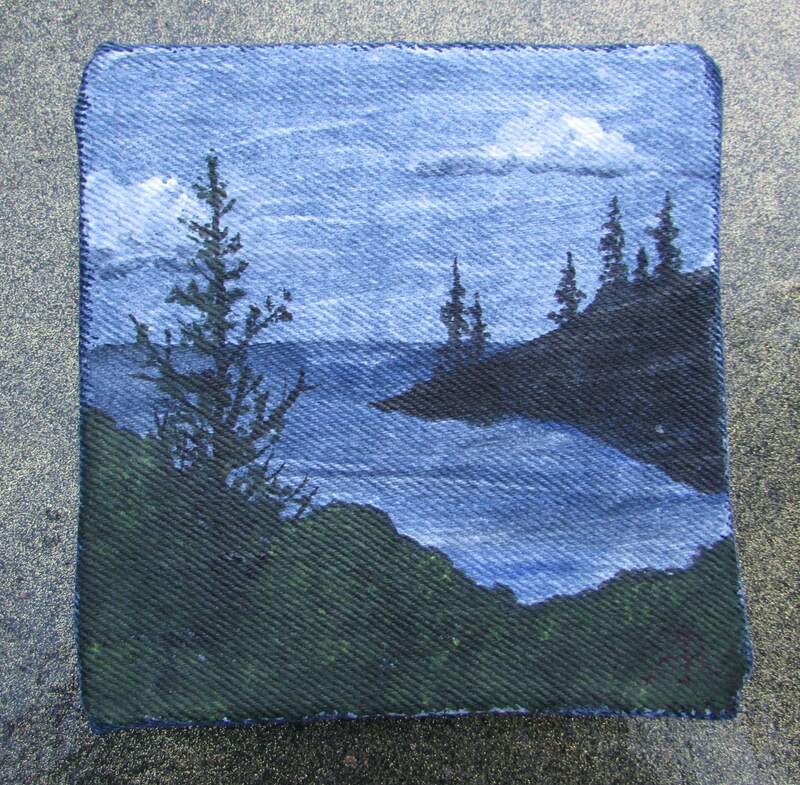 Here is a very humble painting I made by making a 'stretched canvas' from a scrap of old denim, and then painting directly onto it. 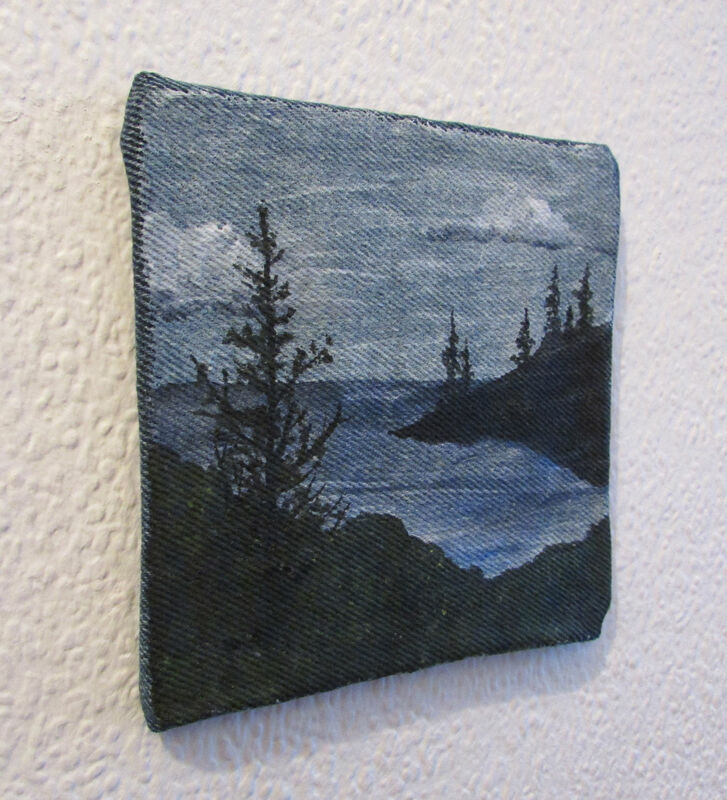 It is an original acrylic painting of a little landscape over a handmade frame. 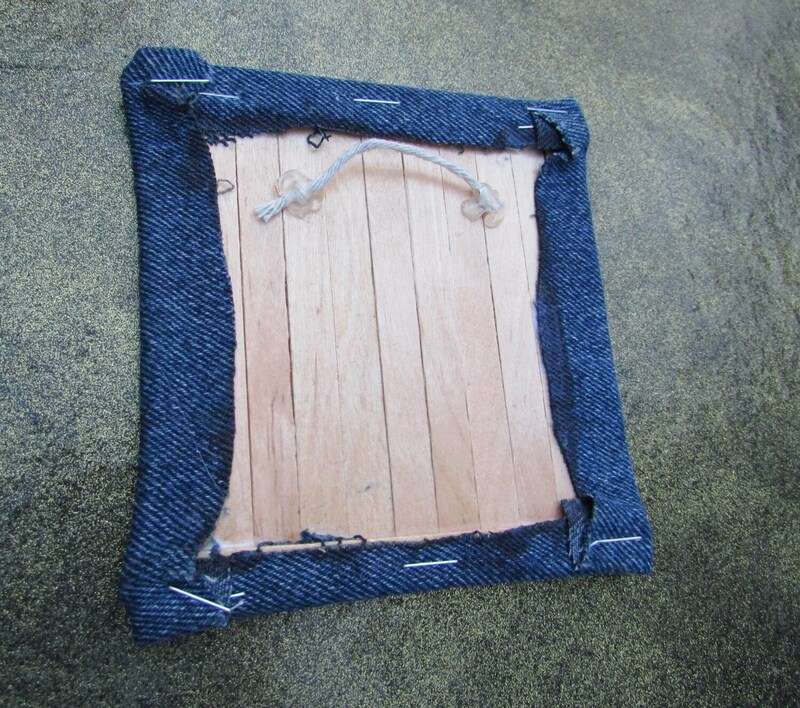 Totally upcycled - textiles are another resource we cannot afford to waste. 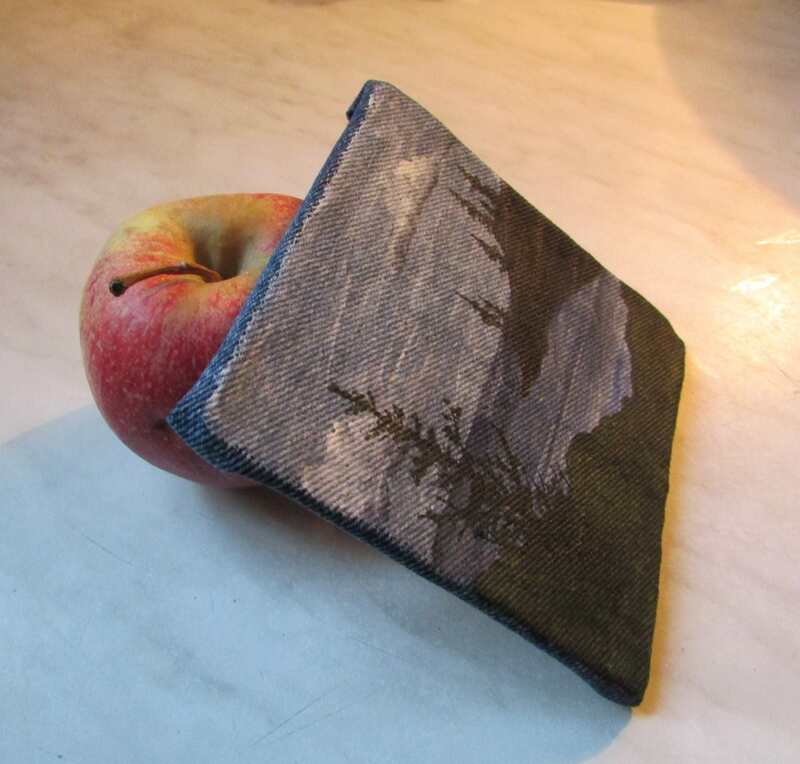 Sent by GlassWorks Penny Post, only one penny for worldwide shipping!